The show started with a bang and exciting intensity ensued and permeated throughout the performance. It was one layer of thrilling scene after another. We watched the accomplished Alexandra dynamically explode onto the stage in the opening scene. Burke brought the successful singer Rachel Marron exquisitely to life with classics like ‘Run to You’ and ‘Greatest Love of All’. The famous ‘I Will Always Love You’ had the audience waiting at fever pitch for that ‘note’ and guess what we were not disappointed. Burke’s sensitive portrayal of a single mum with her on stage son Jessie Onihah as Fletcher was touching. His performance without doubt sees him with a promising future ahead. Burke’s sister Mica Richardson as an accomplished Nicki also complimented the dynamism, with her own personal story of love commitment and envy. Burke’s co-star Benoît Maréchal gave a distinguished compelling performance as Frank Farmer, both debonair yet arrogant, which characterised his presence with resounding success. His convincing bad karaoke rendition had the audience both laughing and wincing in chorus. Burke’s stalker Phil Atkinson’s presence is felt throughout the performance, his body language is both powerful and menacing. I loved the way the show has evolved with a Latin twist on the choreography with some amazing movements by the dancers. 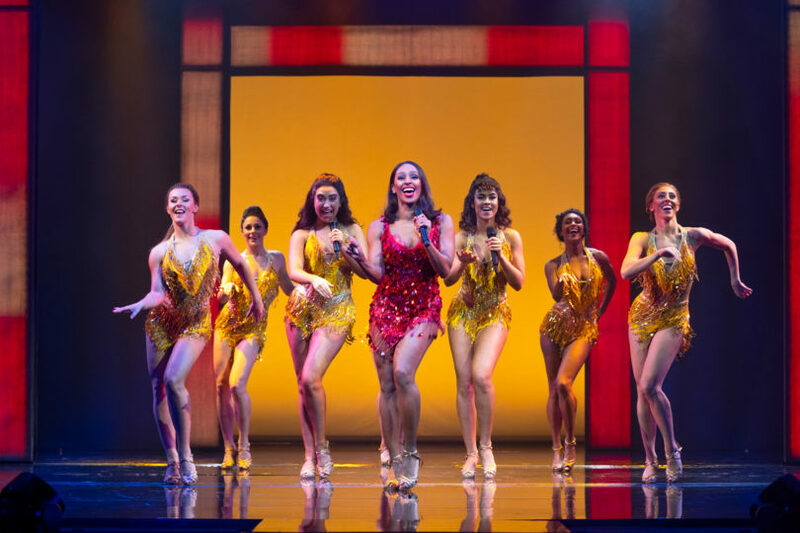 The stage set is outstanding and equal to the star performances on the night; you won’t be disappointed if you want to ‘Dance with Somebody’ sing along. The one criticism would be the overwhelming flashing blue lights at the start of the show. The audience came to life even more towards the end, showing their appreciation with a standing ovation and dancing in seats and the aisles.